Puerto Rico's panaderías, or bakeries, are far more than a place to get cakes and pastries in Puerto Rico. A panadería can be anything from a hole in the wall that sells bread and basic groceries to a full-blown restaurant and mini-mart. It's a good way to experience a slice of daily life (and local bread), no matter what part of the island you're visiting. The more popular panaderías are meeting places and community centers where the neighborhood gathers, especially for breakfast and lunch. In Mayagüez, this panadería is so famous for its Brazo Gitano (a buttery kind of Spanish jelly roll stuffed with guava, mango, or other fillings) that it had to expand their operation to meet the demand for this one item. This large panadería has excellent local specialties but is just as well known for its selection of classic imported Spanish tapas and foods. You can find authentic classics here like mussels, sardines, Serrano ham, tortilla, and turrón. They also serve wine and excellent cheeses. There are several branches of this popular local chain, which has expanded to include several locations around the island. Depending on which branch you visit, you’ll find anything from a full-blown bakery or “express” bakeries. Regardless, come for their quesitos, which are a cannoli-shaped pastry filled with cream cheese that are one of the staples of any Puerto Rican bakery. Some branches also serve Spanish tapas. When you visit El Yunque, Puerto Rico's amazing tropical rainforest, you'll want to stop and get some food along the way, as there are limited options once you're deep in the forest. You'll find everything you need for your picnic lunch at Don Nico's, conveniently located on the way along Route 3. This no-frills bakery is popular island-wide for its quesitos, but you can find a variety of sandwiches and pastries here as well. Located near the main campus of the University of Puerto Rico, El Hipopotamo started life as a busy panadería but gradually grew to a full-fledged restaurant. It still retains its bakery roots though, offering local pastries and a terrific choice of deli meats and cheeses. Like many San Juan panaderías, El Hipopotamo is a popular haunt with politicians and intellectuals. You can rub elbows with students and senators at all hours here. 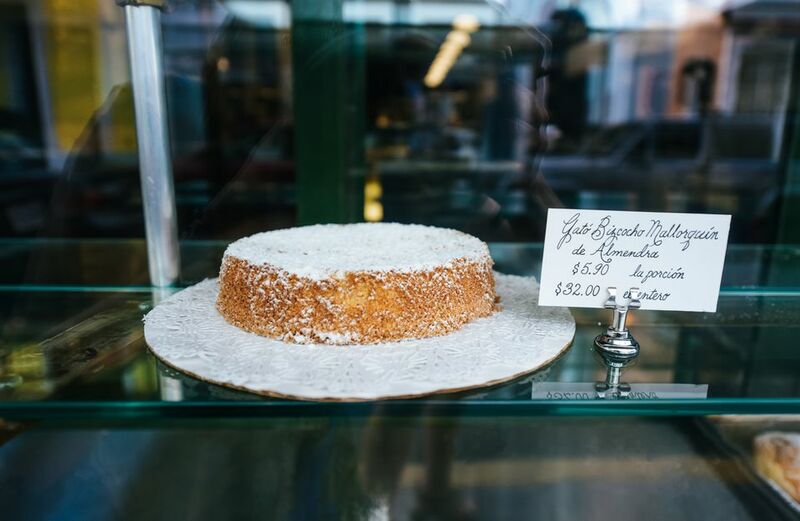 An Ocean Park institution, Kasalta has it all: an excellent bakery, café, a surprisingly well-stocked gourmet market, catering, and the down-home ambiance of a local panadería. Come for a hearty breakfast, crispy quesito, a dessert, homemade soup, or one of a wide range of sandwiches. On weekends, be prepared for long lines of Sanjuaneros waiting for their breakfast. In Vieques, Panadería La Viequense typifies the panadería experience of a small-town gathering place where the neighborhood gets together. You'll want to come early on weekends to avoid the long lines of islanders. Also, this is the perfect place to stock up for a day on the beach: you can buy pan de mallorcas, quesitos, donuts, baked goods, or one of the many large and creative sandwiches (the Viequense is a gastronomic behemoth stuffed with pork, turkey, ham, pepperoni, and pickles).